It’s a birthday bash and you’re invited. Canada really doesn’t have a lot of castle hotels. You generally need to head to Europe to see those storybook frou-frou palaces or ornate gothic castellated edifices. The closest thing the country does have to a castle is the Fairmont Le Chateau Frontenac, located in the most European of Canadian cities, Quebec City. This year, the property celebrates 125 years of being a grand dame hotel with a full schedule of events and activities for savvy travelers to partake in, from thousands of pieces of birthday cake doled out in July to an anniversary party to end all anniversary parties in December. 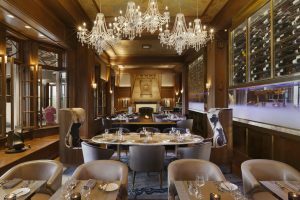 Meanwhile, there are tours and talks about the history of the Chateau, local art exhibitions, culinary events, cocktail workshops and a slew of other happenings designed to pay homage to the hotel and Quebec itself. 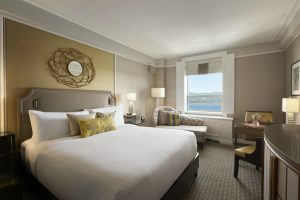 In preparation for its big year, the Fairmont Le Chateau Frontenac recently completed a $70M reno to all of its 611 rooms and lobby. It also launched new restaurant concepts and added a spa. Our expert eyes saw a picture-perfect mix of old and new – striking heritage details plus a luxe modern esthetic that ensures this grand lady will always live up to its “grand” descriptor. For a full roster of activities scheduled at Le Chateau, check out its site.